Support Your Local Small Business. Order Your DirecTV, Viasat or HughesNet From Your Local Business. No one does TV like DIRECTV. 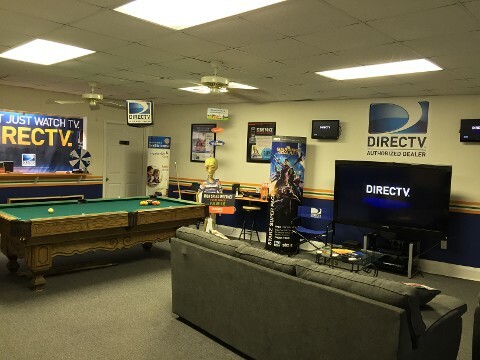 Whether you want a mind-blowing HD experience on your TV or you want to enjoy your favorite shows on whatever screen you have handy, having a Direct TV installation is the ultimate source for everything you love in entertainment. Exede Internet offers download speeds up to 100 Mbps — 100X faster than our original WildBlue service. We beam your Internet signal directly from ViaSat-2 — the most powerful communications satellite ever launched. The FCC’s 2013 Measuring Broadband America report of U.S. Internet Service Providers found that Exede Internet is No. 1 at delivering on advertised speeds or better! This was the first time any satellite Internet service was included in the survey. WHY IT’S IMPORTANT: The FCC report proves you get the speeds you pay for — and more! Get $10 off your internet bill when you bundle with Exede Voice. New customers get a reduced rate on internet bill for 6 months when bundled with Exede Internet. Existing internet customers get $10 off phone bill for 6 months. $29.95 $24.95 for 24 months*. Now HughesNet brings you not only great Internet service but great home phone service too! With HughesNet Voice, you can enjoy more affordable phone service with FREE premium features. Value is a huge consideration when choosing an Internet and tv provider. DIRECTV, HughesNet, and Exede offer a host of bundling plans to choose from, matching your Web browsing needs to your budget perfectly. *Stated speeds are not guaranteed. ** Plans only available on the EchoStar XVII satellite. Certain geographical areas are not covered by this satellite. ††If you exceed your monthly plan data, you will experience reduced speeds, typically 1-3 Mbps, until the next billing cycle. §Streaming is optimized with video streams at DVD quality (up to 480p). For best performance, leave any video streaming applications at their default automatic resolution setting. Most video services are supported. Not all video sources are identifiable. 3 times is based on average HD bit rate of 3.6 Mbps vs. DVD quality at 1.1 Mbps. ¶Transfers of an existing telephone number are not always available. †$99 instant savings applies to new residential subscribers who qualify for the standard lease program. Not applicable with the Purchase option or all lease options. Offer ends 3/27/19. Restrictions may apply. Offer void where prohibited. ΦAfter 12 months, the monthly equipment lease fee reverts to $14.99. Offer ends 3/27/19. Restrictions may apply. Offer void where prohibited. °$100 instant savings applies to new residential subscribers who purchase a new HughesNet system. Not applicable with the Lease option. Offer ends 3/27/19. Restrictions may apply. Offer void where prohibited. ^After 12 months, the monthly fee reverts to $29.95. 24-month commitment required. Restrictions may apply. Offer void where prohibited. Offer ends 3/27/19. 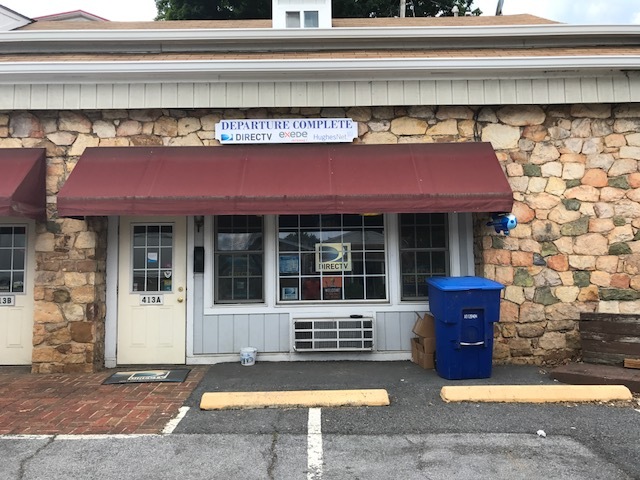 With our storefront located in Front Royal, Virginia, Departure Complete provides a full range of Digital Media Communications and Security Products. As an Authorized AT&T, Directv, Viasat Internet, HughesNet Internet, WeBoost/Wilson Cellular/Data Signal Boosters, Vivint Home Security, Nest Home Security and Eero Wifi. We can help you create your Ultimate Home Entertainment and Security Package. Each member of our team is committed to providing you with exceptional and professional service. From the products we offer to the sales support we provide, the goal is to ensure that you get everything you expect from a digital media company. We are locally owned and operated. Contact us to find out more about our different Internet service plans and satellite installation packages.